Gives managers complete visibility of call traffic and call costs for single or multiple sites, with the ability to charge costs to different individuals, departments or clients. Primary call statistics can be displayed on a wallboard or PC monitor. 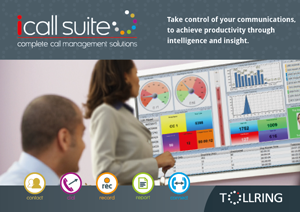 What are the benefits of using iCall Suite for Cloud?